The Food Alphabet and More: New Starbucks Christmas Drinks, New Starbucks Cards this Christmas and more!!! 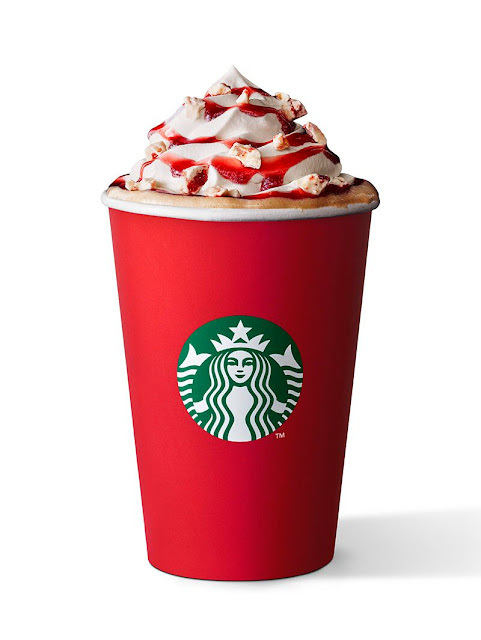 Presenting the 2017 Starbucks Christmas Drinks! Inspired by the classic nougat confection, this beverage is delicious with the rich taste of French vanilla (custard-like and slightly floral) and nougat notes. Decadent dark mocha is topped with green tea whipped cream and finished with glittering sprinkles of green and red candies, just like a Christmas tree when lit up. 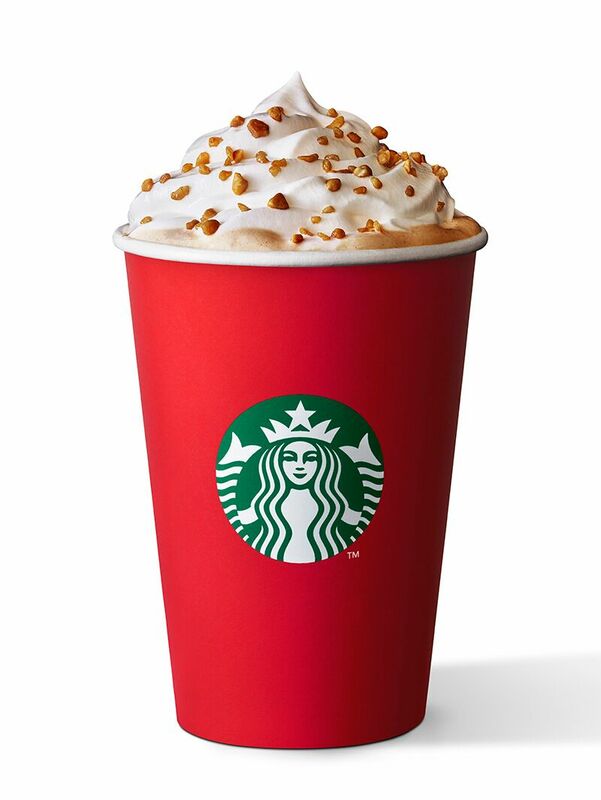 Toffee nut syrup is combined with velvety steamed milk, espresso shots and topped with whipped cream and crunchy toffee nut crunch toppings. We were able to taste all these great handcrafted beverages but we definitely loved the Toffee Nut Crunch Latte, sweet and warm with every sip. These featured Christmas beverages are available in iced and Frappuccino options (Short - P160, Tall - P170, Grande - P185, Venti - P200) and available starting today November 2nd. Also available starting November 2nd are these new Starbucks Cards. The Annual Holiday Tree and Snowman Card is available with an activation amount of P300. Celebrate Christmas the Pinoy way with the Philippine Market Exclusive Maligayang Pasko Card also available for a P300 activation. Next up the Special Edition Kape Vinta Card which is included in every 2018 Starbucks Planner, take good care of this card, this card can get you a year worth of FREE Starbucks beverages... find out how HERE. Here is our 2018 Red Cup Card, this design matches this year's Give Good cup and merchandise and comes with a red Kraft sleeve carrier. Available for initial activation amount of P1,000 per card, also available starting today November 2nd, 2017. As part of yearly tradition of gift-giving, Starbucks takes your worries away, just visit any Starbucks store and shop for your Favorite Starbucks merchandise that your friends and loved ones will sure cherish. Give flavor with Starbucks Christmas Blend and Starbucks Christmas Blend Espresso Roast, be on the go with Starbucks VIA Christmas Blend, the Starbucks Origami Christmas Blend and if you prefer tea and enjoy every cup of Starbucks Teavana Joyful Medley Tea. Make Christmas even more colorful with these lovely and colorful Starbucks cups, mugs and other Christmas merchandise.. there are even tree decors you can purchase to make your Christmas tree even more inspiring and will surely brighten up your Christmas! Have a Merry Merry Christmas with Starbucks, and enjoy the season with family and friends.. it's time for gift giving and well collection of the 2018 Starbucks Planners! Watch out for other announcements here.. such as the limited edition Starbucks card coming out December 6th... oops, spilled the beans haha and just to let you guys know, it's the 20th year of Starbucks in the Philippines, so watch out for more surprises.